Visit the RELIC site for more! "Fans of the Hunger Games will devour this book." Hello and welcome! 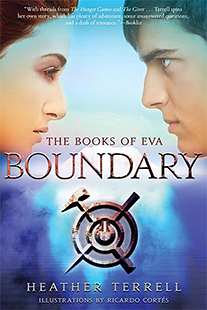 I’m the author of a new young adult series entitled THE BOOKS OF EVA. Part mystery, part dystopia, part historical fiction -- a YA Handmaid’s Tale meets Game of Thrones -- my series is an action-packed coming-of-age thriller. 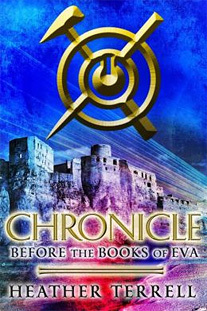 Yet through the eyes of its 17-year-old protagonist, Eva, RELIC and BOUNDARY also explore the way trusted rulers shape history through the manipulation of legend, mythology, and lore. RELIC and BOUNDARY dare its readers to examine how founding “truths” shape the civilizations in which we live. Once a New York City lawyer, I had long dreamed of a fabulous job unraveling the larger mysteries of time as an archaeologist or explorer or historian -- before I tried my hand at writing. While drafting my first book, I realized that I could uncover the truths lurking in the past and in myth -- and the reasons behind them -- through fiction. RELIC and BOUNDARY unearth these truths. In a bleak future where technology is outlawed and the whole of civilization is confined to an Arctic island called New North, 17-year-old Eva uncovers both the secret behind her twin brother's death and the false premise upon which her society is built. The story begins with a murder that everyone assumes was a tragic accident. 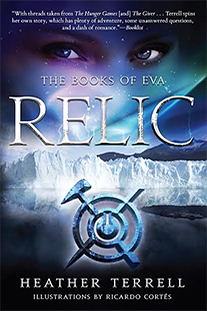 When Eva's twin brother, Eamon, falls to his death from the Arctic Ring while training for "The Testing" -- a ritual in which select individuals excavate from New North’s Frozen Shores artifacts dating from the last days of the 21st century -- Eva offers to take Eamon's place as a Testor. Out in the dangerous Taiga and Tundra, Eva relies on the training she received from Lukas—her servant and secret friend—to survive the arduous journey to the Frozen Shores. She even finds herself having to use her newfound skills to help Jasper: another Testor and most likely her Betrothed. As Lukas's and Jasper's competing motives (known and unknown) slowly come to light, she finds her Relic. She is terrified of it at first. The outlawed Tech still burns within it. And it magically tells of an ancient girl much like herself and overturns almost everything she was raised to believe . . . . Ultimately, Eva will be forced to make a choice between the world she knows and the truth about a buried history. Thanks so much for visiting. I look forward to hearing from you, and I hope you enjoy the books!